Mickey’s Not-So-Scary Halloween Party kicks off September 20th and promises a spooky night of Disney magic. Here is an overview of everything there is to see and do during your night of trick-or-treating in the happiest place on earth! First, the event will sell out so don’t plan on purchasing your tickets at the park. Tickets are sometimes cheaper online as well, so you are better off purchasing them beforehand. (Purchase your tickets!). Once you’ve purchased tickets, it’s time to plan your costume! People will get super creative so a little planning never hurts! (Check out some of the previous year's costumes) Unlike the park’s normal operating hours, everyone can wear a costume to this event, not just children, so make sure to take advantage of that. Of course you are definitely not required to be in costume and check Disney’s costume guidelines before you go. The special event tickets allow admission starting at 3 P.M. or 4 P.M. depending on the date you visit, so make sure you get there early! The line to get into the park is likely to be long and you’re going to want to get in right away and not miss a moment of fun! New this year: Guests will be able to celebrate a pre-party at Disney’s California Adventure as well as Disneyland. Once inside, Cast Members will be checking that everyone is wearing a special event bracelet, so make sure yours is in plain sight. You are going to need to show this bracelet at every candy line and to get on every ride for the first few hours of the event, so it’s best to have it visible. Now the fun begins! This year Disneyland has 8 different candy stations spread throughout the park, which you can go through as many time as you wish to collect treats (but hopefully no tricks!). In addition to the sweet stuff, Disneyland also gives out healthy options like apple slices, raisins, and carrots. Make sure to ask Cast Members for the healthy treats if you have had your fill of candy. Going to this event means taking home an amazingly huge amount of candy. Disneyland does provide small trick-or-treat bags to all guests but after just a few stations, this will likely fill up. Bring a backpack to empty your smaller bag into when it gets full, and prepare to be amazed as it quickly fills up during the night. There is a lot more to do at Mickey's Party than just trick-or-treating! Disneyland has two Halloween themed rides that are open during the festivities: Space Mountain Ghost Galaxy and the Haunted Mansion Nightmare before Christmas. These two attractions are a must-see during the Halloween season! Most of the other rides in Disneyland are also open during the Halloween party so you will definitely get your money’s worth of attractions during your visit. There will be dance parties with live music at several places inside the park, such as the Tomorrow Land stage where you can party on the dance floor or sit at the surrounding tables and have a midnight snack while you watch performers. Speaking of snacks! There will be lots of special spooky treats available that will look almost too good to eat! Another thing to do is meet some of your favorite Disney Villains with great photo opportunities. They will be roaming the park during the party and will also have special meet-and-greet times at Villain’s Square. New this year: All Halloween Party guests will receive free unlimited photo-pass downloads! Make sure to catch the Frightfully Fun Parade, as Mickey and Minnie lead the way for some of Disney’s Trickiest Tricksters including Jack Skellington. And of course, last but certainly not least, end your night with Halloween Screams, A Boo-tiful Fireworks Spectacular. This fireworks show offers exclusive viewing only for Halloween Party guests! It is best viewed from Main Street or right in front of Sleeping Beauty’s Castle where you can see the whole show with all its special effects and spooky magical thrills. 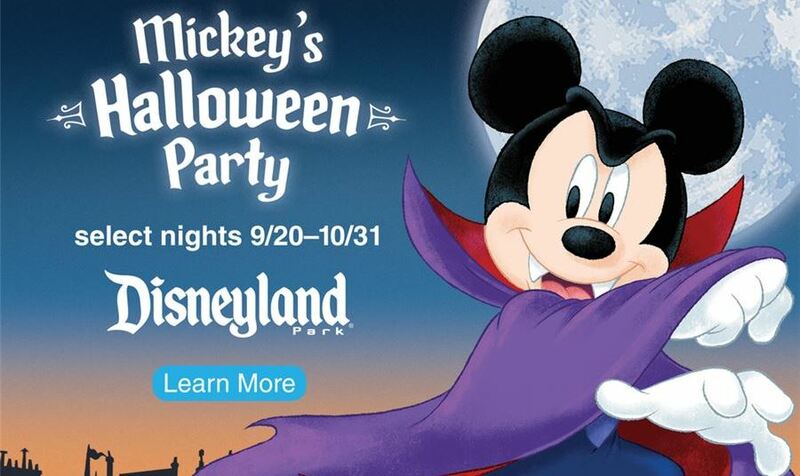 Mickey’s Halloween Party is not to be missed this fall. If you are visiting the parks during this time, take a day to experience the best, not-so-scary, Halloween Celebration.